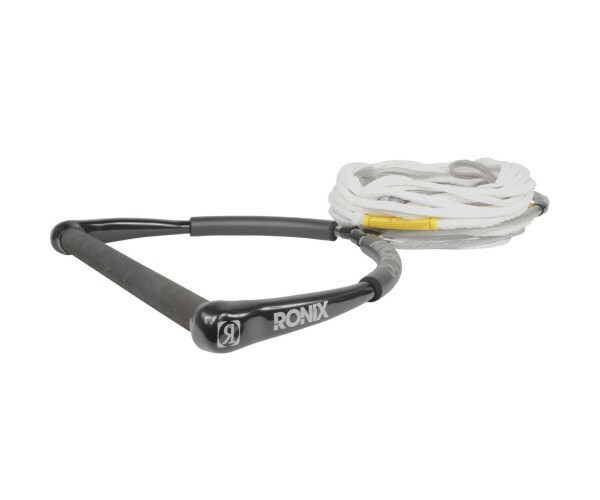 The Ronix Combo 1.0 is a great wakeboard rope and handle for those just getting into the sport. A 1” diameter handle with rubber grip and a 60 ft. PE mainline with four additional sections. 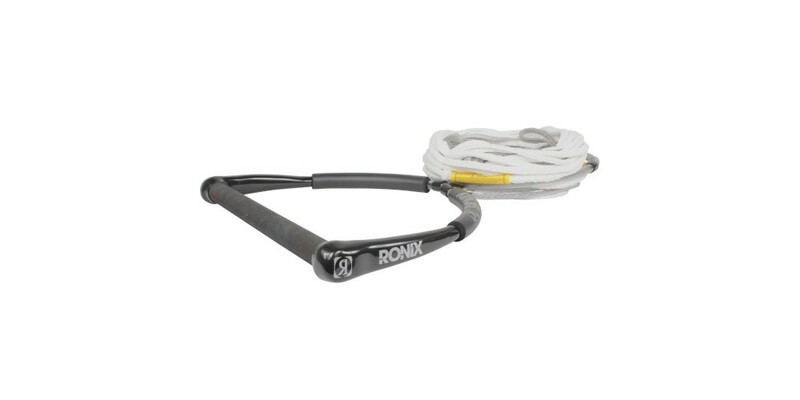 The Ronix Combo 1.0 Wakeboard Rope and Handle Combo comes standard with a TPR Grip Handle for a tacky grip and a low-stretch PE mainline. This wakeboard rope and handle combo is designed to be a cheap option for those just getting into the sport and learning to ride. The mainline is 60 ft. in total length and includes four sections, giving you versatility in adjusting the rope length when getting riders out on the water and jumping the wake. The shorter rope lengths make it perfect for beginners and kids as it keeps them closer to the boat where the wake is narrower and easier to clear as you begin doing airs. Whether you are new to the sport or just a skater on a budget, the FOCUS is the perfect wake skate..